SayWhatNews: Good morning Chris. Thank you so much for taking time out of your busy schedule and speaking with SayWhatNews. 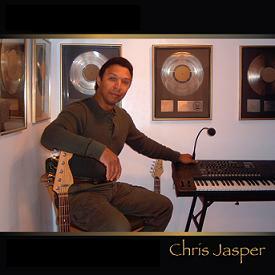 Tell us who is Chris Jasper? Chris: Well, as you know, professionally, I was formerly a member of the Isley Brothers and Isley-Jasper-Isley and I have since formed my own record label and continued my solo career. Personally, I have been married for 28 years to my wife, Margie and I have three sons, Michael, Nick and Christopher. SayWhatNews: You are a classically trained musician and composer. At what age did you discover your love for music? Chris: When I was about 6 or 7 I started to listen to music on the radio and started to play piano by ear. At about that time, I also started taking piano lessons with a professor from the Cincinnati Conservatory of Music. I attended Julliard School of Music in New York and continued to study music composition at C.W. Post in Long Island, New York. Chris: My musical influences were Jackie Wilson, Sam Cooke, Marvin Gaye, Stevie Wonder and many other R&B artists. 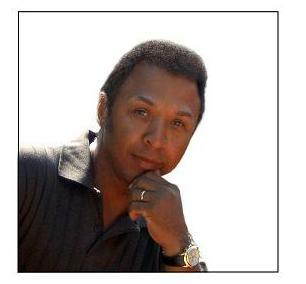 SayWhatNews: Chris, you mentioned that you are former member of the legendary group The Isley Brothers. Tell us how you became a member of the group? Chris: Well, when I was in High School, the three younger members Ernie, Marvin and myself formed a trio, “The Jazzmen Trio”, and we played local schools and churches in the Englewood, New Jersey area. The older brothers were a vocal trio at the time. They heard us and liked the way we played. So, after a while we started to play on their recording sessions. Then, as time went on, the two groups merged in 1973 with the 3 + 3 album and became a self contained group. SayWhatNews: Your keyboard work became a pivotal key that gave The Isley Brothers their unique sound on some of their hits. After all these years, how does it make you feel to know that those songs like ‘Between the Sheets’ are still being played and sampled in today’s music. Chris: It’s a great feeling when someone picks a song that I wrote out of the thousands of songs that they could choose from. It’s always a great honor when that happens. 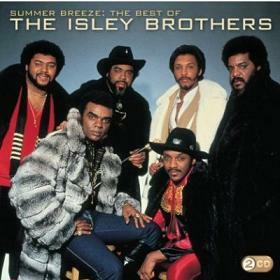 SayWhatNews: What is one of your most memorable moments being a member of The Isley Brothers? Chris: I guess I would have to say that would be when we were inducted into the Rock & Roll Hall of Fame in 1992. 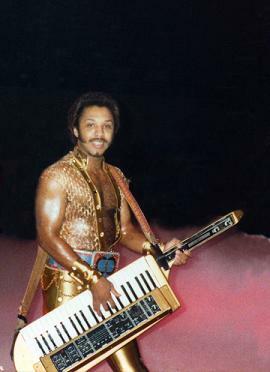 SayWhatNews: Chris in 1984, you and the younger Isleys left the group and formed your own band, Isley Jasper Isley. Why did you guys decide to venture off and start your own band? Chris: At the time, the three older brothers and the three younger brothers had differences, most of which were financial in nature and because of those differences, unfortunately the six member group could not continue the way it was. SayWhatNews: I think that is one of the main contributors as to why many groups break-up and go their separate ways. Now, by 1987, the new band Isley Jasper Isley broke up and you decided to go solo. Can you tell us why you decided to go your separate ways after such a short time together as a band? Chris: After our third album as IJI, Sony had picked up the next option on our contract but unknown to me at the time, Ernie had resigned from the group, so IJI couldn’t continue. So, at that point, there was nothing else I could do but continue with Sony as a solo artist. SayWhatNews: With great success as an solo artist, producer and song-writer you have gone on to work with top artist like Chaka Khan. Which mainstream artist would you love to collaborate with and why? Chris: I would have to say Stevie Wonder because he is a great songwriter, vocalist, keyboardist and someone who I have been influenced by throughout my career. SayWhatNews: After many years in the entertainment business, you formed your own record label, Gold City Records. What influenced your decision to start your own label? Chris: The main reason I formed my own label was so I would have total creative control over my music and not limited to a certain category or style. For example, I have released nine albums since going solo, four of which are considered gospel. But whether the songs I write are considered “secular” or “inspirational R&B”, they all contain the same R&B music I have always written with positive uplifting lyrics. SayWhatNews: What would be your advice to aspiring artist who are looking to reach the great success that you have? Chris: Try to be a multi-faceted individual. For example, if you are a performer, it is your advantage to learn how to write and produce your own material. Be objective about the music you write, don’t fall in love with it. I always say, your eraser is your best friend. It is also important to have a good work ethic. Also, learn as much as you can about the business side of the music industry and keep your publishing and copyrights. SayWhatNews: Now that is really some sound advice. Chris, you recently released a career retrospective CD, "Everything I Do", that features highlights throughout your R&B and Urban Contemporary Gospel solo career. What inspired the album? Chris: Well, several years earlier, I released an album consisting entirely of love songs. But, for a lot of years, I had been getting requests from fans who also wanted to hear more up-tempo and funk. So, I put together “Everything I Do” to show that side of my music. SayWhatNews: Do you have any plans to do a Nationwide or Worldwide tour? Chris: I just did a “Caravan of Love” gospel show in Virginia, which went very well, so I hope to do some more dates this summer. SayWhatNews: What’s next for Chris Jasper? Chris: I plan on releasing a new single early this summer with an album to follow and I will be co-producing another album with my son, Michael.